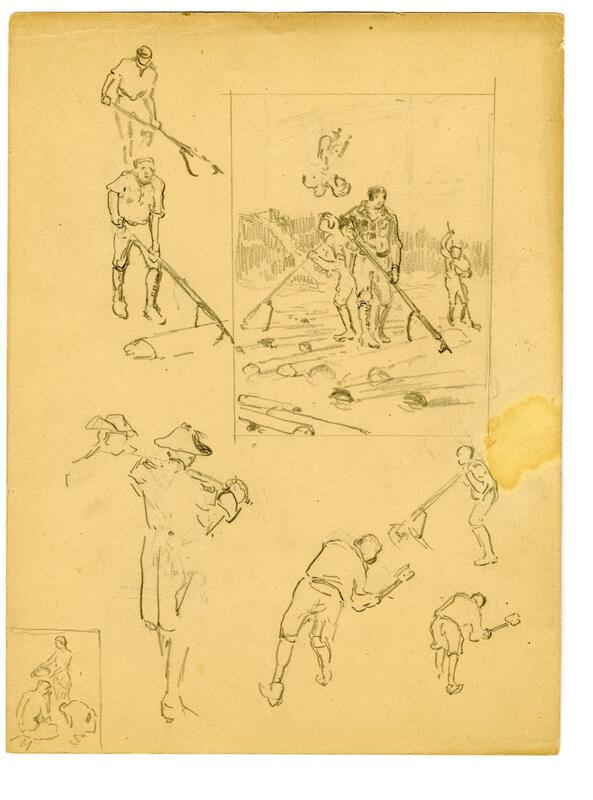 Preparatory sketch showing lumbermen using cant hook poles while rafting logs on a river. The central figure wears a wool Mackinaw jacket indicated by the plaid pattern. Double sided sketch. On side B, the sketch is divided into different sections with various work scenes such as men in boats and men outside churches.